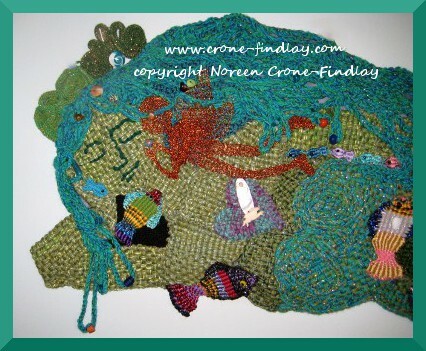 My wee grandson does not like it when I make a doll or weave a tapestry that has closed eyes, or no face. 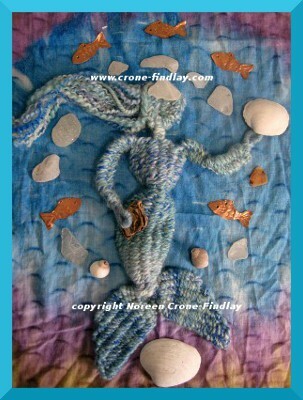 I think I have internalized his demand to ‘Open her eyes!’, because the other morning, I woke up, after dreaming about my large Singing Mermaid tapestry, and heard, you guessed it: Open her eyes! The colors are looking slightly odd, but in real life, they are quite pleasing. 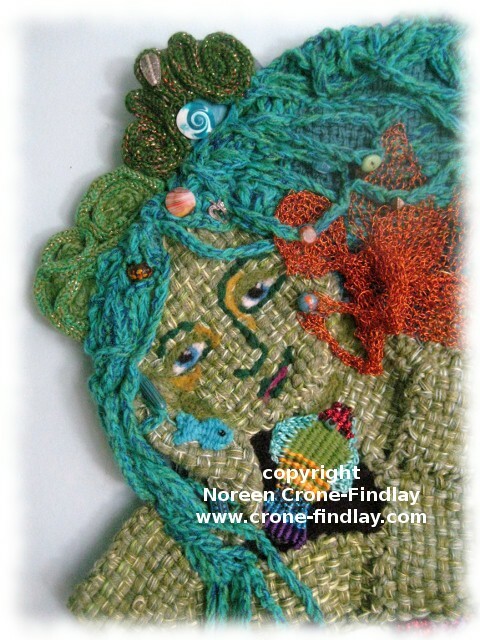 The Jasper Community Habitat for the Arts Gallery that will be hosting my ‘Woven Women’ show of tapestry and woven works is not on schedule with the construction. So, the show will now be running from August 1, to Sept 9, 2014 in Jasper AB. 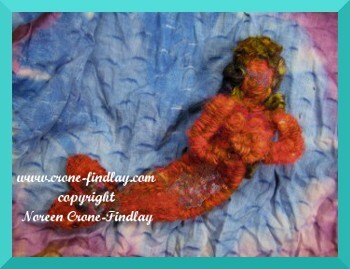 I love mermaids, and I never get tired of finding new ways to create more of them. 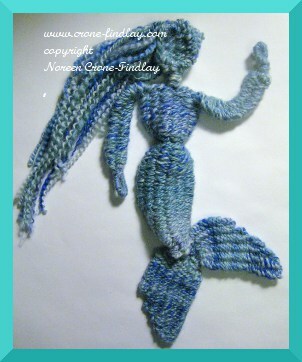 And, now, my newest mermaid is woven – on only 6 sticks! Weaving sticks are probably the easiest loom ever – but that doesn’t mean that there is ANY limit to their creative potential. 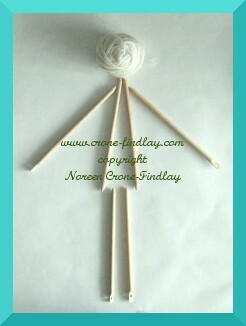 I have been having a wonderful time, designing all kinds of magical dolls with them.